Brand: Comstar | Manufacturer: ComStar International, Inc.
Liquid-Plumr Heavy-duty Clog Remover provides a powerful, fast-acting solution for both fully clogged and slow-running drains. Ready-to-use formula works on a variety of clogs caused by hair, food soils, grease and other materials that slow drains. Clog remover is safe for disposals, septic tanks and plastic pipes. From Clorox Commercial Solutions, this drain cleaner is ideal for use in offices, schools, daycare centers, restaurants and other commercial restrooms. Until recently, if you had a clogged drain the fastest plumbing repair drain opener was a sulfuric acid drain cleaner. They are fast acting, but are toxic, corrosive, and very dangerous for the user. Then there are enzyme drain cleaners, which are natural, super safe, eco friendly, but can take a very, very long time to unclog a drain, and usually don't work on a heavily clogged drain. If you are not fully satisfied with our heavy duty drain cleaner, we will gladly give you a full refund. Warranty: 100% money back guarantee. 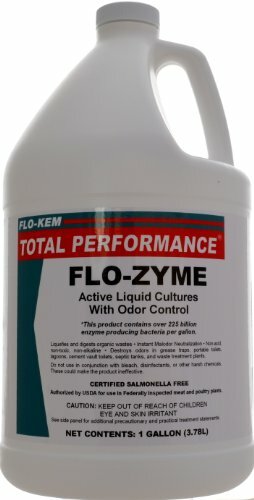 Flo-Kem Flo-Zyme Bio-Enzyme drain opener. An enzyme/bacterial odor control product designed to break down and liquefy suspended solids to include proteins, fats, oils and greases. Eliminates foul odors. Used to maintain drain traps, waste treatment plants, and other drain systems. White milky emulsion with pleasant scent. Contains 250 billion active enzymes. This product is a live bacteria treatment which breaks down and liquefies suspended solids such as proteins, fats, greases, carbohydrates, oils, sugars, cellulose, and starches. It eliminates hydrogen sulfide odors (rotten egg smell) and other foul odors and gases produced from waste products. It is harmless to plants, animals, and marine life and is non-pathogenic. It consists of specially developed bacteria, aerobic, anaerobic, and facultative in nature. They reduce BOD and pollution potential. This product has over 225 billion enzyme-producing bacteria per gallon. White milky emulsion with a pleasant scent. Color: Hazy white emulsion. Fragrance: Pleasant. pH at 70 degree F: 8.5 +/- 0.5. Specific gravity : 1.004 +/- 0.005. Shelf life: 1 year. Flash point: None. Bacteria count: Over 200 billion/gallon. Bacterial type: Blend of 5 bacillus spores. Salmonella/shigella: Negative. Stability : 2 years + at 35 to 95 degree F. Enzyme production: Lipase/Protease/Amylase/Cellulase/Urease. Bacterial pathways: Aerobic and facultative anaerobic. Use in sinks, tubs and floor drains, safe for all types of plumbing. Dissolves hair, grease and food buildup, breaks through tough clogs. Easy and safe to use, super fast and powerful. OVER 1 MILLION Bottles Sold, sold Worldwide on TV. 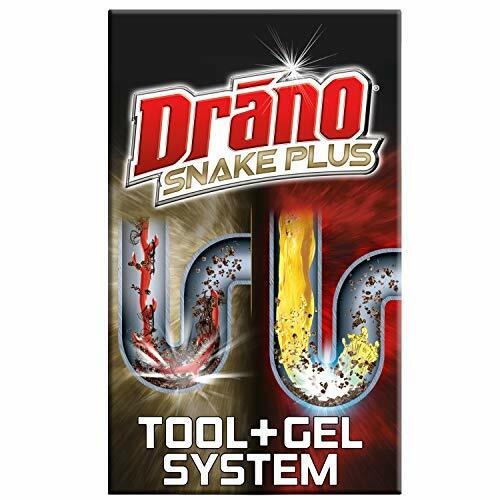 Drano Snake Plus Drain Cleaning Kit is a simple two-step solution for unclogging your drain. 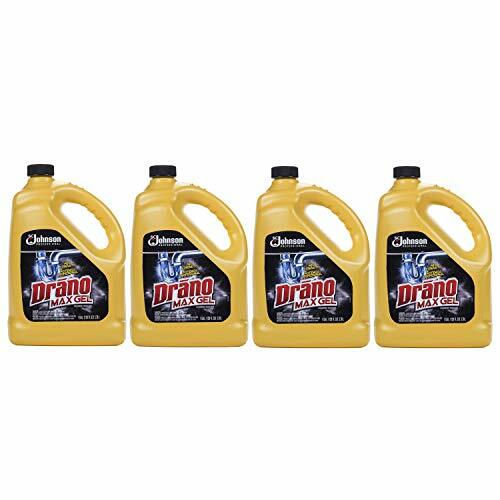 Drano paired a 23-inch flexible tool with its most powerful gel to clear your drain the first time guaranteed or it s free. Use the snake tool to knock clogs loose, then pour Drano Max Gel Clog Remover down your drain to clear the clog away. The gel pours straight through standing water and works fast to restore your drain to a free-flowing state. Drano Snake Plus is tough on hair, soap scum, and other gunk, but safe for all pipes. Clogs happen, but with Drano you and your drains are unstoppable. We don't blame you. 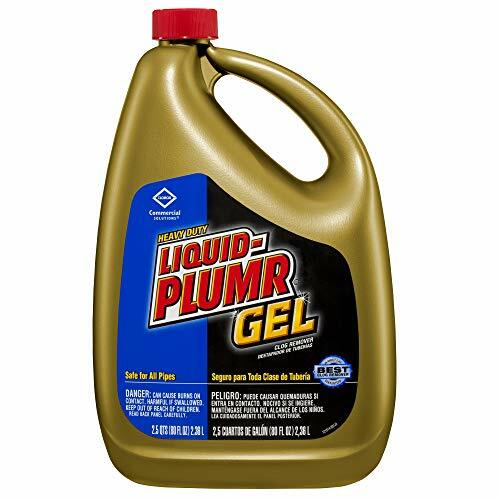 No longer do you have to spend time and money on a drain cleaner, drano max gel remover or plumbers. Now, you can enjoy the smell of fresh bio clean natural fragrances with our drain sticks being at such an affordable price. 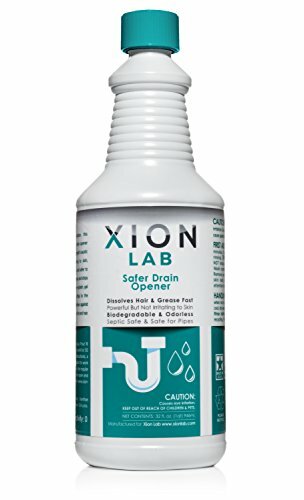 Finally, a drain deodorizer that really makes a difference! 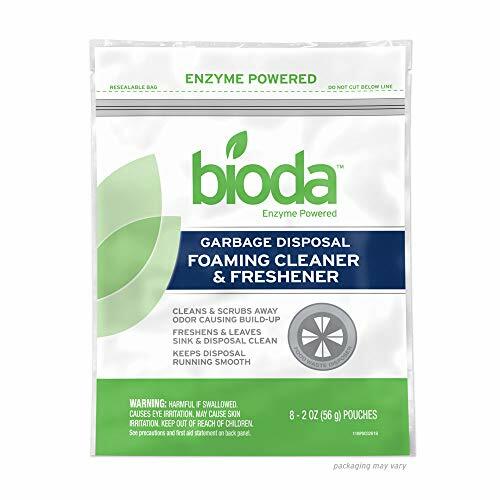 Introducing our biodegradable eco friendly enzyme cleaner. The safe and clean fix for your clogged drain. All you have to do is drop a single sani disposal in your drain of choice and watch as our clog remover gets to work, fast. After seeing harsh chemicals being poured into household drains our team has released an eco friendly drain deodorizer alternative, concentrated bathroom cleaning products that are as concentrated as biodegradable. Sure to leave pleasant smell, not a rash. 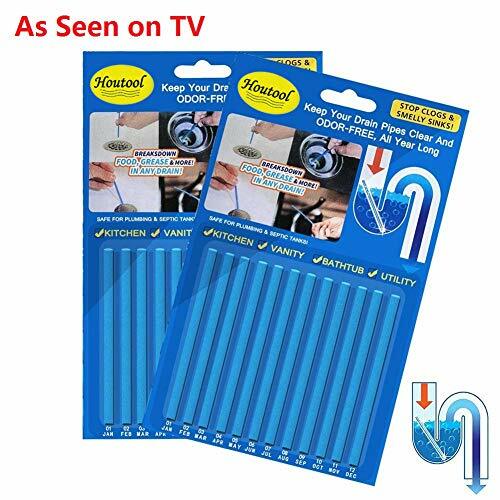 You might be wondering about similar sanitation sticks and their quality. If so, you would not be alone. The quality of our competitors is actually what inspired us to make our product, better. Just take a look at our ingredients! Maybe you're worried one drain cleaner won't be enough? You will notice our powerful blend of enzymes efficiently breaks down all food particles and other organic material so one sani stick will be enough for an entire month! 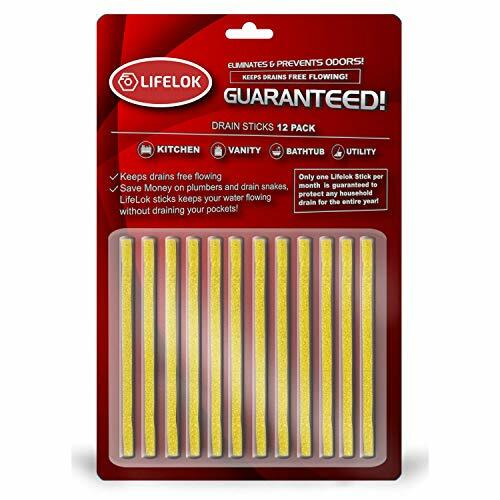 In case you're not sure, Buy 3 Packages of LifeLok sticks and receive 10% OFF your entire purchase using the Coupon Code LIFELOK10 at checkout. You're just a few days from feeling and smelling the difference, press the ADD TO CART button above and have your LifeLok sticks delivered to you tomorrow. ARE YOU TIRED OF: Spending time and energy on clogged kitchen, shower and sink drains while your bathroom cleaning tool is still costing you money? You're frustrated with plumbers, drano and drain snakes, we don't blame you. Now, you can have the smell of fresh natural fragrances with our scented bioclean drain clog remover - introducing our eco friendly sani sticks.The best part? All you have to do is drop a single drain stick through your grate of choice and walk away. It really is that easy! AFTER SEEING HARSH CHEMICALS: Being poured into household drains, our team has released an eco friendly alternative, a biodegradable drain cleaner & deodorizer that leaves family's with a pleasant smell, not a rash. Our scented drain cleaner is as good for your home as it is our earth. Be assured, we are experts in eco friendly sanitation. Our team is dedicated and we like to have conversations with our customers. Send us a message, ask a question. We want to hear from you! ARE YOU CONFUSED: Which drain cleaner to buy? You might be wondering about similar sani sticks and their quality. If so, you would not be alone. The quality of our competitors is actually what inspired us to make our product, better. Just look at the ingredients! Made of 48% Sodium sulphate, 5% Wheat Flower, 7% Carboxymethylcellulose, 10% Sodium Lauryl Sulphate, 17% Calcium carbonate, 5% Sodium Chloride, 1.5% Amylase, 1% Lipase, 1.3% Bacillopeptidaseb,.2% Sodium benzoate, 4% Water. 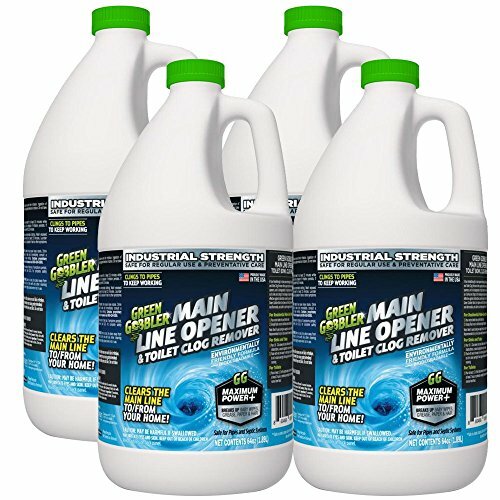 This granular drain cleaner is an eco friendly choice for opening clogged drains safely and quickly. 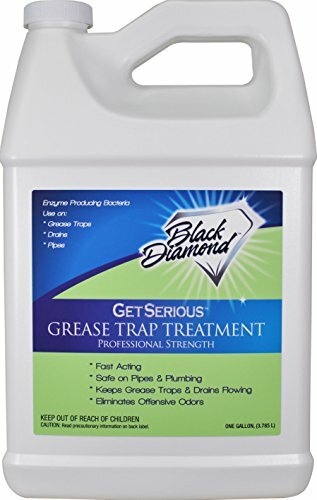 It will break down and liquefy on contact any types of grease, hair, soap scum, feminine products, cigarette butts and any kind of paper products blocking the line without damage to the pipe or the environment. Repeat treatment once per month for preventative maintenance. Directions: Pour 8 to 12 oz of granules directly into drain, use small amounts of water to activate the product and to rinse off the sink basin and drain covers, allow to sit several minutes then flush with hot water. If clog persists repeat treatment and allow to sit overnight, this will break down and liquefy years of build up due to soap scum, grease, oil , fats etc. Flush with hot water in the morning and drain should be completely clear. EASY TO USE: Fast and Powerful concentrate with Crystalex Technology. Green Gobbler is PURE unlike other liquid drain openers which contain large amounts of water. WORKS GREAT FOR: Bathroom Sinks, Bath Tubs, Showers, Toilets, Kitchen Sinks, Floor Drains, Slop Sinks, Urinals, RV Drains & More! EFFECTIVELY BREAKS DOWN: Grease, Hair, Toilet Paper, Soap Scum, Organic Materials, Body Oils, Calcium & Lime Buildup, Rust, Flush-able Baby Wipes, Toothpaste, Shampoo Residue, Iron Buildup & More! ENVIRONMENTALLY FRIENDLY & BIODEGRADABLE: Safer alternative to toxic and dangerous liquid drain chemicals & Safer to store around the home. No Mask or Goggles Required. TESTED and APPROVED by SGS Laboratories, One of the largest 3rd party testing agencies in the world. 30 DAY HASSLE FREE MONEY BACK GUARANTEE - We value our customers and we stand behind ALL of our products 100% with no questions asked! If you are not pleased simply call or email us with your order number and we will reimburse you in FULL! Garbage Disposal foaming cleaner & freshener cuts through grease and grime without harsh chemicals. Directions for use:1. Start with turned off, empty disposer.2. Run a strong stream of hot water into the sink with disposer.3. Toss the pouch into the disposal - do not open the pouch.4. Turn disposal on for 2 seconds.5. Turn off water - Blue cleaning foam will begin to rise from drain 6. After foam has retreated, rinse sink clean of any Blue Foam left behind. Manufactured in the United States of America. The drain sticks are concentrated by powerful enzymes which can break down food, grease, and other stubborn materials. Effectively prevent the drain from clogging. hundreds of dollars on expensive plumbers. Simply drop one sink sticks in any drain of your home such as kitchen, bathroom, toilet, laundry room each month. Prevent pipes from smelly. No more clogged or smelly drains again. 1. One piece for one drain is enough, DON'T put more in one drains. 2. Some may be broken during transportation, but they still work. If you don't want them, please inform us for After-sales Service support. 3. Keep Drain Cleaner Stick away from Children. Wait for the water to drain from the sink/shower Wear Gloves, Goggles, Mask and switch on the exhaust fan if necessarily Run a few cups of hot water into drain to heat up the pipes Pour 1/4th of the bottle into the drain Wait for 5-8 minutes for the lye to flush down the pipes Rinse with hot and cold water Resolve the drain issue and never deal with it again! Buy one for no risk now. If you are not satisfied you can return it for a full refund! Please contact us with any questions you have. Happy Cleaning! 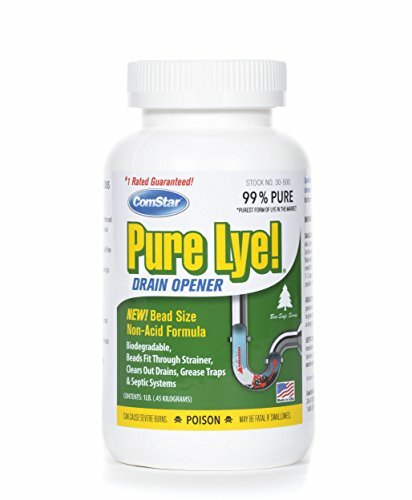 SAVE MONEY: Save hundred's of dollars by using our 2lb industrial strength lye on 5-6 clogged drains. 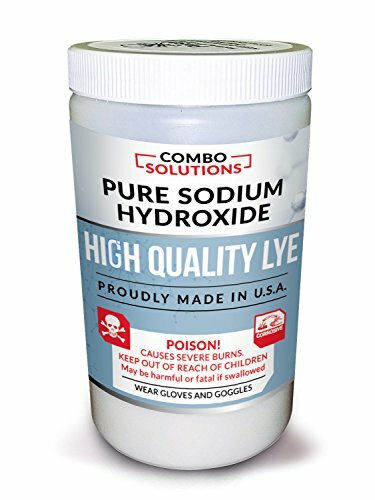 100% SATISFACTION GUARANTEED: Pure Sodium Hydroxide (LYE) 99% purest concentration caustic soda beads and made from award winning formula produced in America. Working with award winning US company, Red Crown (Boyer Corporation), specializing in high quality chemical products for over 100 years, to bring you this amazing product. MULTI PURPOSE: Can be used for drain cleaning, paint stripping, Cleaning metals, stainless steel de-greaser, water treatment, cleaning glass bake ware and even Soap Making. Great for making Biodiesel, Bar Soap, Pretzels & More! HAZMAT: Requires signature in person upon delivery. Cannot be picked up at terminal. Non-fuming, does not produce offensive odors or gases normally associated with other drain openers. Ideal for institutional, home, hospital, factory and office building use where strong odors are objectionable. Non-acid, powerful action crystalline flakes provide high surface area to the clog. Large flakes quickly dissolve grease, hair, soap, food and other organic material. Works faster than liquid caustic or bleached-based openers and is more economical to use. Glug can be used for both emergency and preventive maintenance treatments of clogged or slow moving drains and waste lines. Safe for septic systems when used as directed. Contains no phosphates or aluminum. Hot water formula will not solidify in drains. Will not stain and is harmless to most metal and plastic pipes, valves and fittings and will not damage chrome, brass or fine plumbing fixtures. Avoid contact with aluminum pipe or utensils, acrylic and fiberglass bathtubs, basins and surfaces. Available in four convenient-sized containers with child-resistant caps. Glug is also available in clog-specific liquid formulations for kitchen or bath. Both dry and liquid products are not sales-restricted. 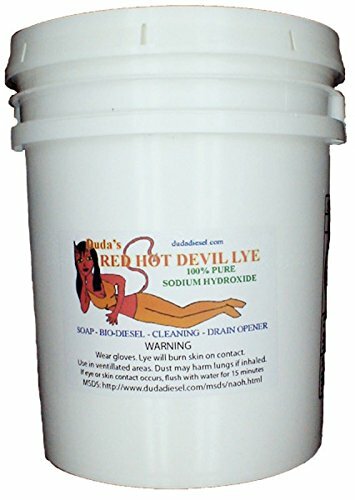 Not to be used for clogged toilet bowls or completely stopped drains. Non-acid crystals clear sluggish drains and prevent clogs. Harmless to most metal and plastic pipe, valves and fittings. 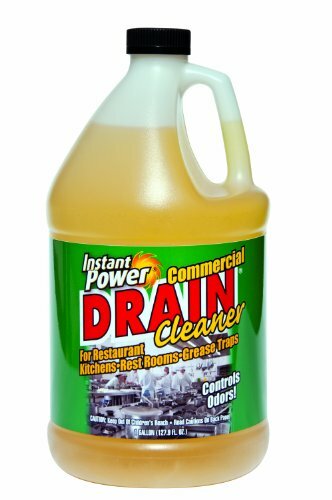 Instant Power Commercial Drain Cleaner is used for the treatment and maintenance of drains and grease traps. Use in restaurants, businesses, apartment complexes and homes. Beneficial enzyme producing microbial blend digests fats, oils and greases (FOG), along with other organic waste that accumulates in drains and grease traps. Regular use keeps drain lines free flowing and reduces frequent grease trap pumping. 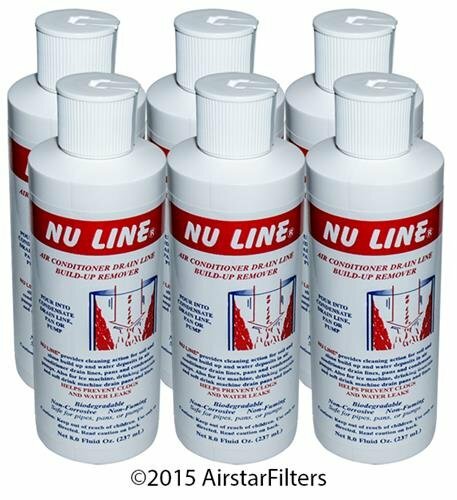 Nu-Line is the Industry Standard in A/C Condensate Drain Cleaners Item Specifications: Nu-Line provides cleaning action for soil and slime build up and water deposits in air conditioner and refrigeration drain lines , pans and condensate pumps. Also for ice machines , drinking fountains and soft drink machine drain pans and lines. Shut of air conditioner , Pour 8 fluid oz. into drain pan , drain line or condensate pump. Restart system after 20 minutes. Repeat this process every 90 days. ** NOTE: Completely clogged drain lines must be cleared prior to use. ** . 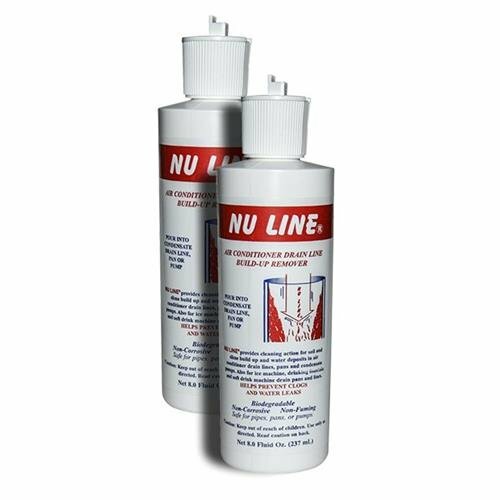 Replaces / Supersedes: NuLine , Nu Line , Nu-Line , NL2 , NL-2 , AC Line WACL32 , 021449976909 and Similar Drain Line Products. Note : Images are for illustration only. Actual item may vary. Replaces / Supersedes: NuLine , Nu Line , Nu-Line , NL1 , NL-1 , AC Line WACL8 , 021449976855 and Similar Drain Line Products. The thickened bleach formula in Drano Max Gel Ultra Clog Remover is our thickest and most powerful Max Gel. Drano Max Gel Ultra cuts right through standing water, clinging to your toughest clogs to blast them fast. It's great at removing hair, soap scum, and other gunky clogs. Clogs happen, but with Drano you and your drains are unstoppable. DISSOLVES HAIR, SOAP, PAPER & GREASE: Forget the dirty work of plunging clogged toilets and end backed-up drains once and for all! The highly effective formula of Green Gobbler clears clogged drains and liquifies grease, hair, paper, soap scum and everything organic that's causing clogs within your pipes! WORKS WITHIN MINUTES: Unclog drains and liquify hair within minutes! This drain opener is safe to use in pipes, toilets, sinks, tubs, and showers. EASY AND EFFECTIVE: Annoyed of clogged and backed up drains? 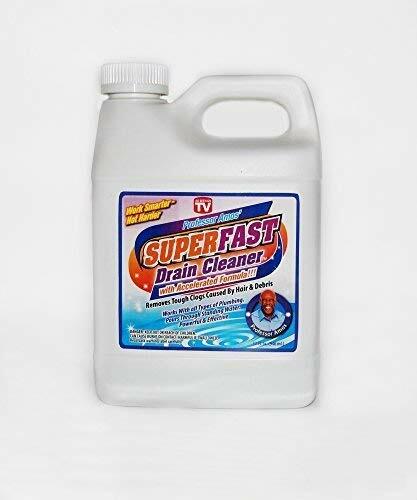 This drain cleaner is the simplest, and most effective way for free-flowing drains and pipes! 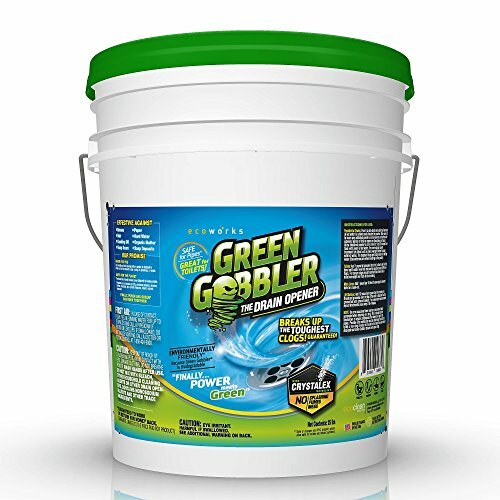 REVOLUTIONARY FORMULA: Green Gobbler sink cleaner is safer than using drain openers like sodium hydroxide and works faster and more effective than most other drain uncloggers on the market.